The officers, families, and supporters of Warwick Police Department got behind their team in our recent Cops For Kids With Cancer No Shave November Competition. 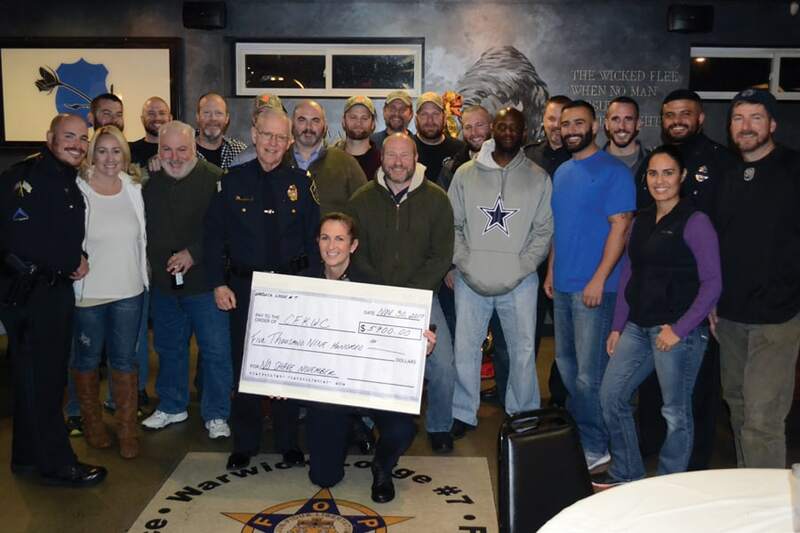 Warwick PD raised over $5,900 during November! A great job by all – thank you to Chief Stephen M. McCartney, the Warwick PD coordinator Susan Boyer, and all those who donated. Photo courtesy of Ethan Hartley, Associate Editor, Warwick Beacon.